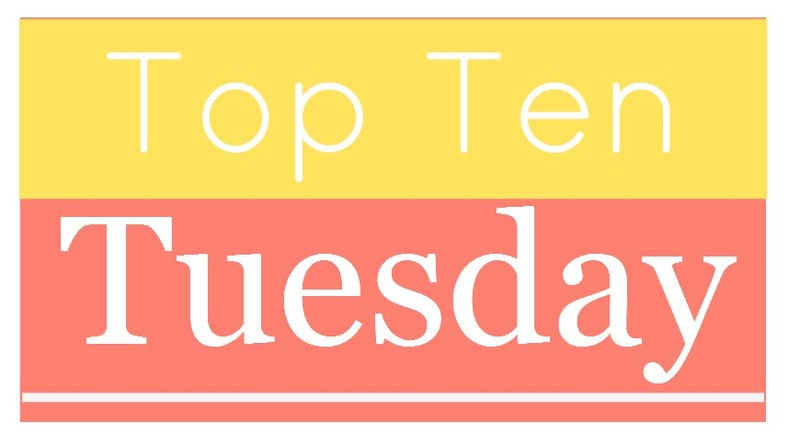 In an effort to increase my presence on Rebecca’s blog (because, let’s face it, a handful of reviews a year hardly counts), I have decided to participate weekly in Top Ten Tuesday, hosted by the excellent blog The Broke and the Bookish. I love a good list, and a list about books is even more exciting! Read more adult fiction. Although I did read quite a bit of adult fiction in 2013, most of the books were part of series that I reread. I want to expand outside of my YA pigeonhole. Read for pleasure. Whether this means taking a break from committee reading, skimming boring book club picks, or putting down a book I’m just not enjoying, I plan to read more for my own pleasure in 2014. More reviews! Last year I did a horrible job keeping up with reviews of the books I read. This year, I hope to write a least a couple of sentences on Shelfari about every book I read, as well as at least one review a month for this blog. Cut the size of my TBR. I am an easily distracted person, and books are no exception. I am constantly checking out books that look interesting or adding new books to my TBR, and then dropping them completely for the next shiny book. I hope to either take books off my TBR (because, if I haven’t read it after 4 years, I probably never will), or actually read the books I have checked out before getting more. Cut the size of my physical book collection. Nothing pains me more than getting rid of books, but sometimes it has to be done. I moved into a new place last year and already have books spilling out of the bookcases into piles on the floor and boxes in my parents’ guest room closet. It’s time to cull. So here’s to starting 2014 off on the right foot! What are your reading goals this year?